Beginning with its loss to Japan in 1895, a series of humiliating losses for Qing China led Chinese elites to fundamentally question the Neo-Confucian political economy that used imperial theory and ritual to tie nature and the people through the body of the emperor. While much has been written about how reformers and revolutionaries re-imagined the relationship between subject and ruler in a modern state, no scholarship has yet investigated the parallel changes in conceptualizations of the body politic and the body anatomic in modern China. In this presentation, I will explore how a group of Japanese-educated physicians, exemplified by physician-politician Tang Erhe, sought to remake China through anatomy. In the early twentieth century, anatomy was not merely a basic science for medical students and biologists, it was an expansive discipline that sought to understand health and disease, life and death, origin and destiny, of all forms of life from the smallest cell to the human, individually and collectively. From cytology (microscopic study of cells), through histology (microscopic study of sliced, stained tissues), through gross anatomy (basic medical study of the human body), through comparative anatomy (study of all forms of life, basis of biology), to physical anthropology (study of the origins of humans, present variation, and racial future) — anatomical science promised nothing less than the resolution of otherwise insoluble problems through the accumulation of quantifiable data about life. Imperial cosmology was directly tied to Chinese concepts of the body, and the challenges of the twentieth century appeared to demand a replacement of both. This process was begun in the new Republic through a series of mundane, but far-reaching, legal, linguistic and institutional processes, demonstrating that intellectual history of modern China cannot be written separately from the history of science and medicine. 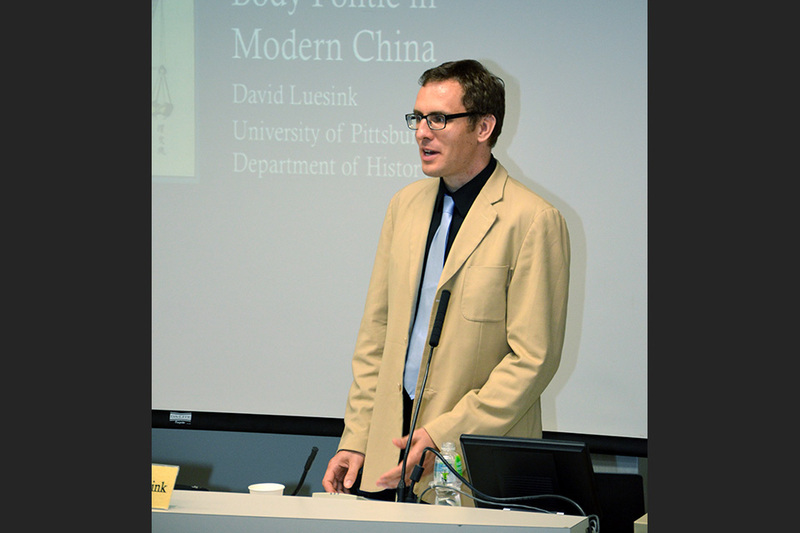 David Luesink received his PhD degree from The University of British Columbia. 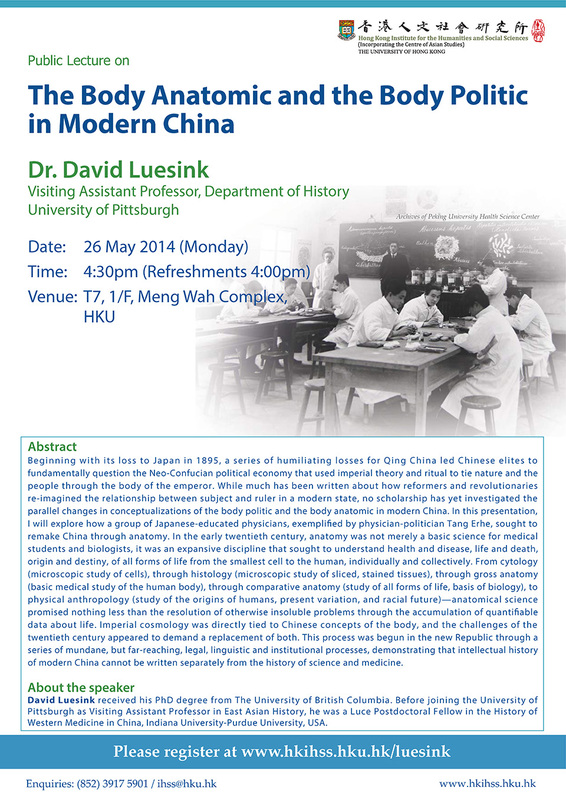 Before joining the University of Pittsburgh as Visiting Assistant Professor in East Asian History, he was a Luce Postdoctoral Fellow in the History of Western Medicine in China, Indiana University-Purdue University, USA.